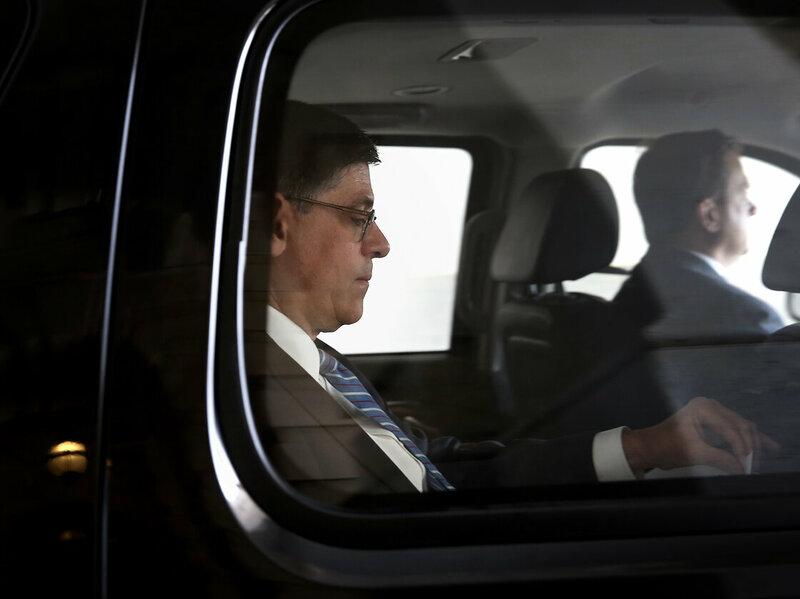 Treasury Secretary Jacob Lew leaves the Capitol after a visit on Thursday. The Treasury Department is issuing a warning of dire economic consequences that could rival the Great Recession if Congress is unable to agree on raising the debt ceiling and the nation defaults on its obligations. Treasury’s report, “The Potential Macroeconomic Effect of Debt Ceiling Brinkmanship,” comes as Congress is still wrangling over a short-term spending bill to reverse the partial government shutdown that went into effect Tuesday. Later this month, House Republicans and Senate Democrats will need to agree to raise the $16.7 trillion debt ceiling or face a possible default. “[A] default would be unprecedented and has the potential to be catastrophic: credit markets could freeze, the value of the dollar could plummet, and U.S. interest rates could skyrocket, potentially resulting in a financial crisis and recession that could echo the events of 2008 or worse,” Treasury said in a statement. The department said “political brinksmanship that hints at even the prospect of a default can be disruptive,” (emphasis in report) citing the 2011 debt ceiling impasse, when consumer and business confidence fell sharply, job growth slowed and financial markets were stressed.